Tay Bak Koi was born in Singapore in 1939, and died in 2005. A second generation Singaporean artist, Tay Bak Koi is well known for his portrayals of fishing villages, kampong scenes and buffalo. His medium of choice was predominantly oil, but watercolour was another favoured medium for Tay. His distinctive style combined a mixture of both realism and fantasy to create truly unique works of art. 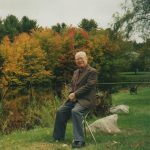 His works have been extensively exhibited in Singapore and internationally, including Hong Kong, Malaysia, Australia, Japan, The United States, and Germany. In 1970 he was also commissioned to produce some 300 works for the Hilton Hotel in Singapore. Tay Bak Koi is among a host of 1st and 2nd generation Singaporean artists who have seen their stock rise sharply in recent years. His auction record as of January 2016 was US$54,180 and he currently ranks within our top 10 highest performing Singaporean artists. Tay Bak Koi’s talent for drawing was originally discovered by his father’s friend, who then enrolled him at the Nanyang Academy of Fine Arts in 1957. 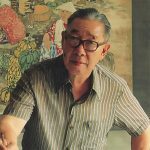 His teacher was first generation Singapore artist Cheong Soo Pieng, one of the founding fathers of the Nanyang style of painting and thus far, the most successful selling Singaporean artist. Allegedly, Tay Bak Koi possessed somewhat of a rebellious streak, and was often dissatisfied with the rigidity of his school education. He spent a large portion of his time during his 3 year education period earning a living selling crabs at a market stall whilst continuing to experiment with his artistic skills. 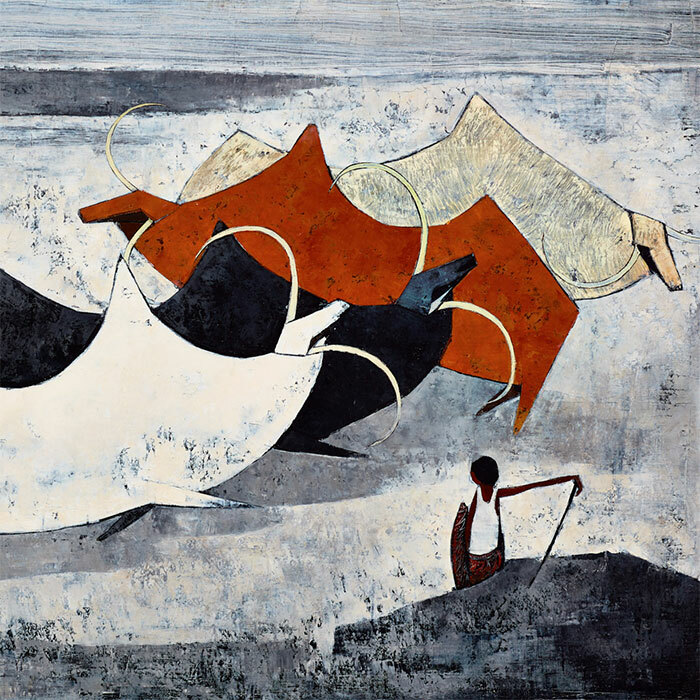 He was keen to follow an artistic path, but similarly keen to ensure that he possessed a distinctive style, and there is little doubt that Tay Bak Koi ultimately delivered, with his works clearly distinguishable from a distance. Much like Chen Wen Hsi with his distinctive Gibbons, Tay Bak Koi is arguably most famous for his Buffalo, constructed by a basic cut-out shape with a large humped body, small legs and a horned head.